With all eyes on the Basque Country ahead of Routes Europe, the government's minister of tourism Alfredo Retortillo outlines the region's key route development targets and what delegates can expect when they arrive later this month. 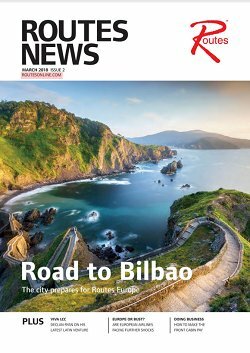 Alfredo Retortillo, the minister of tourism, trade and consumer affairs of the Basque Government, explains why Bilbao is hosting Routes Europe 2018, the region's key route development targets and what delegates can expect when they arrive later this month. Why is Bilbao hosting Routes Europe 2018? The decision was made by a number of agencies, including the Basque government, the government of Biscay province, Bilbao City Council, Spanish airports operator AENA and several institutions and companies, and we now share the responsibility of hosting the event. We are proud to be doing so and it is a big boost for us all to be part of it. We are expecting 1,200 delegates, including more than 100 airlines, 300 airports and 50 tourist boards to attend Routes Europe 2018 and Bilbao and the Basque Country have both the infrastructure and economic strength to cater for them all. 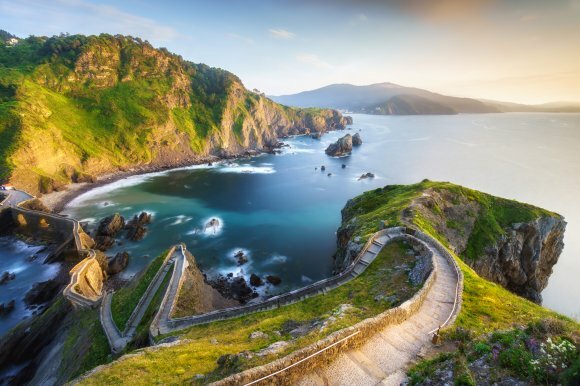 The Basque Country, which is also known as Euskadi, is an autonomous community in northern Spain measuring 20,664 square km with a population of 2.18 million. Bilbao is the capital of the Biscay province, an Atlantic destination, situated in the Bay of Biscay, connected to the world through industry, knowledge and innovation. It is the region’s largest city with a population of one million in the metropolitan area. The economy is strong and the per capita income is €31,851. Basque industries are known for their efficiency, quality, technical excellence and international outlook. We have more than 5,000 companies operating at the highest standards with the certificates to prove it and they are keen to compete at the global level. The Basque Country is known for being world class in a number of sectors, including advanced machinery, automobile, aeronautical, energy, maritime, rail and the eco sector. In addition, since the opening of the Guggenheim Bilbao Museum in 1997 and other attractions, the tourist industry has undergone significant, sustainable growth and currently accounts for 6.1 percent of Euskadi’s GDP. In 2017 a total of 3.5 million travellers visited the Basque Country, an increase of 42 percent since 2006. The Basque Country is a gateway to Europe and is a natural gateway from the continent to the southern hemisphere. This is why it is important we understand and optimise its strategic position as a key link in the European-Atlantic corridor. We are at a natural junction between both Spanish and Portuguese markets and the rest of Europe; within a radius of 2,000 km we are connected to more than ten EU regions which are home to 80 million inhabitants, a quarter of the eurozone’s population. With this location in mind, the Basque Country has created a first-rate system for its logistics and transport networks, which are coordinated with and connected to both Spain and the major European network. This gives us numerous transport links for people and goods in the south-west of Europe, helping stimulate the region’s competitiveness both as tourism and economic hubs. Routes Europe 2018 is an opportunity to show those in the aviation route development community the potential of our airports in Euskadi and their strategic location in the south-west of Europe. We can also show off just how well connected we are thanks to our network of ports, roads, railways and other logistics. The Basque Government has developed a comprehensive management model for the region’s three airports, Bilbao, San Sebastián and Vitoria. In ensuring they complement one another, we can refer to them as: “One airport, three terminals”. The growth in tourism to Euskadi has also been reflected by increasing numbers in the three airports with Bilbao Airport up 8.4 percent in 2017 to 4.97 million passengers, San Sebastián Airport increasing by 6.6 percent to 281,859, while Vitoria Airport’s 82,464 passengers represented a 125 percent increase on 2016. What are your key targets for new routes? From the immediate and tourism point of view, the Spanish domestic market is key with Madrid, Barcelona, Andalucía and Valencia all at the top of the list. In France, Paris and the country’s south are targets but the whole country is important, as is Belgium and in particular Brussels and Flanders. Key cities to target in Germany include Munich, Frankfurt, Berlin, Dusseldorf and Stuttgart as well as Austria and both the German and French-speaking peoples of Switzerland. Britain is important, especially London but also Manchester, Bristol and Edinburgh. Ireland is also on the list alongside Amsterdam in the Netherlands. Potential markets for the future include Portugal, Scandinavia, the US and Italy. From the business travel perspective, key markets for attracting investment include the US, the UK, Germany and France. As far as our exports are concerned Mexico, Brazil, Colombia, China and India are all on the immediate list. Japan, Austria, Sweden and Denmark are also potential future targets, especially from the investment point of view. Nor is it simply about attracting new routes; increasing frequencies is also vital as we believe the more people that visit Euskadi, the more they will encourage others to come. What are the opportunities available for Bilbao as a destination? Hosting Routes Europe 2018 in Bilbao means we can show the main European airlines and airports the Basque Country’s tourism potential and therefore its business opportunities. This will help us make the case for airlines either launching new routes or growing capacity on current ones. It will help us improve our own connectivity too, so making the destination even more tempting, and the same can be said for business travel. We are confident that hosting the event will be of great importance for the economic development of the Basque Country. What are the problems you face in Bilbao? While I don’t think there are any notable problems currently in Bilbao or the Basque Country, we must prepare for potential issues in the future. Like many tourist destinations, seasonality is an issue with the bulk of our visitors coming in the summer months. We need to make the destination attractive for travellers all year round as this will drive tourism spending for the good of the local population. Equally importantly we have to ensure the growth we achieve is sustainable. We don’t have many of the problems other, more mature destinations have and we need to ensure it stays this way in order to remain an attractive destination. Nor is this something we will relax on and we will always keep one eye on sustainability while driving growth in traveller numbers. How do you work with airlines and other airports? We are very lucky to draw on the experience of AENA, which operates all three airports in the Basque region as part of a far wider network. Equally importantly, all of the Basque Country’s key institutions, including local councils and government as well as the regional government, work together to create the best options for our aviation partners. This is because we share the common goal of both attracting new routes and improving the ones already in existence. What can delegates look forward to at Routes Europe 2018? Bilbao is not only the capital of Biscay province but also the single biggest city in it. A bustling metropolis in its own right and consisting of eight districts, it is the beating heart of the Basque Country. It is also surrounded by lush green hills, offering those tired of the speed of the city a chance to get back to nature. Thanks to its proximity to the Atlantic, the climate is mild and provides the perfect weather for exploring the beautiful walkways and bridges along the river estuary which is at the heart of the city. A total of 17 bridges span the banks of the estuary inside the city limits. Among the most interesting ones are the Zubizuri, designed by Santiago Calatrava, La Salve Bridge and the San Antón Bridge. One other attraction on the riverside which is not to be missed is the unmistakable Guggenheim Museum Bilbao. Frank Gehry’s spectacular, twisting, titaniumclad modern art museum is evocative of the ships that used to be moored alongside the docks of Bilbao. Elsewhere, the city is a captivating contradiction of the old and new. Delegates should explore the old quarter and get lost in Las Siete Calles (The Seven Streets) of the original medieval town, which offer a lively mix of history, shops and bars and restaurants. Here you can also explore the beautiful façades of buildings including the Bidebarrieta Library. Meanwhile, the unique columns that hold up the sports and cultural centre the Alhóndiga Bilbao are a perfect example of the modern face of Bilbao. Beyond Bilbao, the Basque Country is perfect for a short break. Distances are short from Bilbao to the other two regional capitals, Vitoria-Gasteiz and San Sebastián. It’s the ideal place to enjoy numerous attractions in a short space of time with stunning landscapes, pleasant weather, ancient culture and world-famous cuisine just some of the many attractions. Eating and drinking well is also an affordable luxury in the Basque Country. Delegates will be able to try local seasonal products served up as pintxos, small snacks, alongside a good wine from the Rioja Alavesa wine region, a txakoli white wine or a cider. You will be in gourmet paradise and we urge every delegate attending to get out there and enjoy, experiment and see all the food on offer before giving in to their taste buds. Do you have any final comments for the delegates? The Basque Country is open for new flight routes and for the business and tourism they will help generate, so we want everybody who can to come to Bilbao, Biscay province and the whole Basque Country. We are going to treat delegates to our natural hospitality, share our ancient traditions and highlight the city’s modernity, which is reflected in the titanium shields of the Guggenheim Museum. Last, but not least, we are looking at showing off some of the most impressive and desired gastronomy in the world. We hope delegates will agree with us and that all these factors will come together to make Bilbao the perfect setting for doing business at Routes Europe 2018, and help our own ambitions to not only secure new routes but strengthen our current ones.